Community gardens provide common ground for people to grow plants, build strong communities, and provide the space needed for a garden. Some benefits of gardening include raising fresh produce and saving money, learning new gardening skills, getting exercise, and unwinding. Los jardines comunitarios ofrecen un espacio para que las personas puedan sembrar sus propias plantas y construir comunidades mas fuertes. Algunos de los beneficios de trabajar en su jardín incluyen: tener acceso a verduras frescas, ahorrar dinero, aprender las habilidades cosechar, estar activos físicamente y tener un espacio para relajarse. 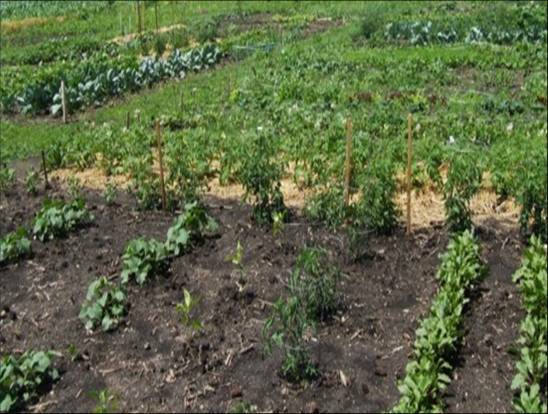 To apply for a Community Garden plot, fill out the brochure and registration, read over and sign the guidelines, and send with payment to: UW-Extension, 100 W. Walworth St., P.O. Box 1001, Elkhorn, WI 53121. UW-Extension, 100 W. Walworth St., P.O. Box 1001, Elkhorn, WI 53121. Individual plots are approximately 10’ x 20’, 20’ x 20’ , 20’ x 30’, and there are also raised beds. All plots will be marked off by garden coordinators. There are about 45 garden plots available on a first come, first serve basis. Espacios individuales que medirán aproximadamente 10’ x 20’, 20’ x 20’, 20’ x 30’ y espacios elevados. Todos los terrenos serán designados por los cordinadores del jardín Hay aproximadamente 45 lotes disponibles, el que primero se registre, obtendrá el terreno primero. Weather permitting, the garden opens on May 18th. Tilling will be done prior to the growing season. Habrá agua disponible para regar las plantas. 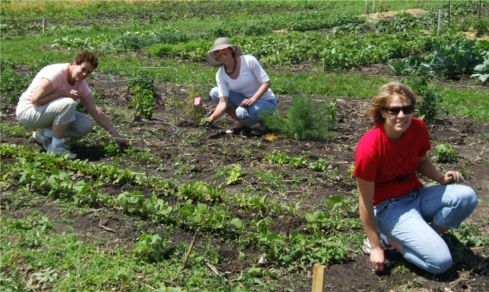 The University of Wisconsin-Extension staff will have programs, demonstrations, and updates to support gardeners throughout the growing season. La Universidad de Wisconsin-Extensión tendrá programas y demostraciones para apoyar y ayudar a los jardineros. Produce must be harvested and plots cleaned by October 26, 2018 (closing date). Todos los alimentos cosechados deberán ser recogidos y el lote limpiado antes de la fecha de cerrar que es el 26 de Octubre, 2018. Improve scope of family vegetable production, consumption, and access. Mejorar el alcance de la producción y acceso a las verduras. Expand access of fresh foods for limited-income residents. Mejorar acceso a verduras frescas para familias de bajos recursos. Provide educational programming for youth and adults to increase productivity of gardens, and to enhance awareness of the nutritional benefits of fresh vegetables. para aumentar el conocimiento de las ventajas alimenticias de las verduras frescas. Donate part of our harvest to local food pantries. Donar parte de la cosecha a las despensas de alimentos en la comunidad. Provide a venue for outdoors activity for families and individuals with the added advantage of reaping the benefits of fresh vegetables to enhance health. la ventaja de tener verduras frescas para mejorar la salud. Create an area of demonstration gardens for hands-on community horticulture programs. personas encargadas de programas de cultivo. Provide garden space for people that may have limited outdoor space. Proporcionar un espacio para la gente que no tiene acceso a los jardines. Establish a respectful and friendly gardening atmosphere! Establecer una atmósfera que cultiva el respeto y que crea amistades. 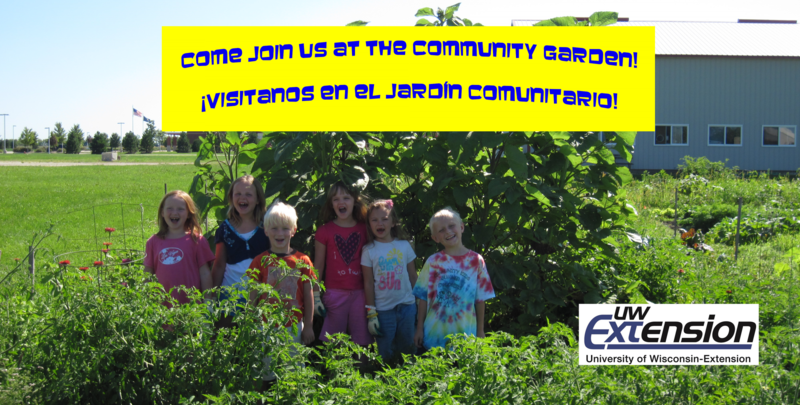 Walworth County Food Pantries… Accepting Fresh Garden Produce! Do you have a zillion zucchini? Tons of tomatoes? More squash than your family can eat? If so, please consider donating your excess produce to local food pantries, where it will be given to families in need. These families will appreciate the extra fruits and vegetables more than you know, and will benefit from the fresh, nutritious food! This list provides information on food pantries that accept fresh produce. If you have questions, please call the phone number listed for each pantry. Mon 5:30-6:30 Accepts produce at any time, by appointment-please call first. Has refrigerator space for large quantities of produce. Sat 9-10:30 Accepts produce Sat mornings. Prefer before pantry opens—please bring between 6:30 and 8:30 AM. Some refrigerator space available. Tues 7:30-11:00, Thurs 2:30-4:30 Accepts produce when pantry is open. Prefers early in the morning. Only has refrigerator space for small quantities. Mon, Wed, Fri, 9:00 to 11:00 Accepts produce whenever it is available. Please bring during pantry hours. Some refrigerator space available. Mon, Wed, Fri, 9:00-11:30 Accepts produce when pantry is open. Would prefer that it be brought on Mon or Wed, as it is hard to keep fresh over the weekend-limited refrigerator space. Sat- 9 – 11 a.m. Accepts produce anytime, has refrigerator space available. Volunteers bag food 2-3 days in advance for distribution, so please consider this when donating produce. Wed 1:00-5:00, Sat 10:00-2:00 Accepts produce during pantry hours. Refrigerator space available for large quantities. Call for appointment only, 262-763-7559 Accepts produce, please call to arrange drop off. Refrigerator space available. Sat 8:30-10:30 Accepts produce on Saturdays while pantry is open. Friday 2:00-4:00, Sat 9:00-11:00 Accepts produce, please bring to church office Mon-Thurs between 9:00-12:00. Refrigerator space available. Tuesdays & Thursdays, 9:00 A.M.-12:00 P.M. Accepts produce in small quantities, limited refrigerator space available. Accepts produce that does not need refrigeration (e.g. winter squash) in larger quantities. Wed and Thurs, 9:00 A.M. to 12:00 P.M. Accepts produce when pantry is open. Can accept large quantities—lots of refrigerator and freezer space.